The Global Commission on the Economy and Climate recently released a report indicating that clean energy policy and investments to halt climate change may pay for themselves. We don't have to choose between economic growth and tackling climate change. Investments in renewable energy and energy efficiency can help us achieve both goals. As a professional advisory practice specializing in sustainable, responsible, impact investing, we've been benefiting from this insight for years. 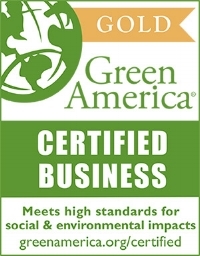 We are able to help our clients prosper and grow their wealth while contributing to a more sustainable planet. That's why we support the Environmental Protection Agency's Clean Power Plan — the first national effort to address greenhouse gas emissions from our nation's power plants. We're not alone in our support. Nearly 50 investors who manage over $800 billion in assets also agree. The Clean Power Plan will limit carbon pollution and help catalyze new investments and economic growth in a clean energy economy. Opponents of the new standards express concerns about increased electricity prices and the reliability of our electric power system. But the electric power sector has a long history of innovating to meet clean air requirements while keeping our lights on and rates affordable. Republican Rep. Chris Gibson has stood in the face of political pressure and voted against efforts to curb the EPA's ability to set carbon emission limits for power plants. We need more leadership from policymakers to do what's right for the environment and the bottom-line. Climate change creates additional risks for businesses and investors. Extreme weather events, sea level rise, droughts, and changes in weather patterns all pose a threat to business, jobs, and security. The Clean Power Plan will help states reduce these risks on a comprehensive basis by cutting carbon emissions and providing long-term policy signals for investors — giving businesses the certainty they need to transition to a clean energy economy. A new report from Ceres, a nonprofit sustainability group, found that nearly half of Fortune 500 companies have targets for greenhouse gas reduction, energy efficiency, or renewable energy. Companies have put a priority on clean energy and are investing in renewable energy and energy efficiency to meet their goals. The ability to source electricity from renewable sources has become a major factor when companies decide to locate facilities. New York has a history of working to reduce emissions and grow the economy. Our state is a founding member of the Regional Greenhouse Gas Initiative (RGGI), a market-based program aimed at reducing greenhouse gas emissions across the Northeast and Mid-Atlantic. As of 2013, New York collected over $583 million in proceeds from RGGI and has since used the funds for energy audits, energy efficiency measures and cleaner energy sources for residential, commercial and industrial buildings.The benefits of transitioning to renewable energy sources extend beyond good economics. Reducing carbon emissions will improve the health and quality of life for future generations. The Clean Power Plan will help pave the way for new investment in clean energy throughout the state of New York. Companies and investors are already working to build a more sustainable economy and the Clean Power Plan is another step in the right direction.